Henan Provincial Communications Planning Survey & Design Institute Co. Ltd. is a one-stop engineering technical service and provides construction, surveying, design, and technical consultancy on highway engineering on projects in China, Southeast Asia, and Africa. The company employs BIM methodologies to improve design quality and efficiency, cultivate BIM expertise, innovate employing BIM data in the highway industry, and reduce the time and capital cost in the design, construction, and operation lifecycle. The expressway project team faced a variety of challenges to ensure the accurate design of the model and used Bentley’s civil applications to include subgrade roads, bridges, tunnels, and culverts within one model and ensure collaboration across all disciplines in highway design. OpenRoads was used to build a 3D model defining the cross sections of roads and importing data related to horizontal and vertical sections. The project team also used the model for bidding. OpenBridge Modeler was used to build parametric models for bridges with higher efficiency than past work processes. ProStructures was used for models for steel bars in bridges and to detect collisions and errors in design, decreasing the number of errors in construction drawings by 1,350. 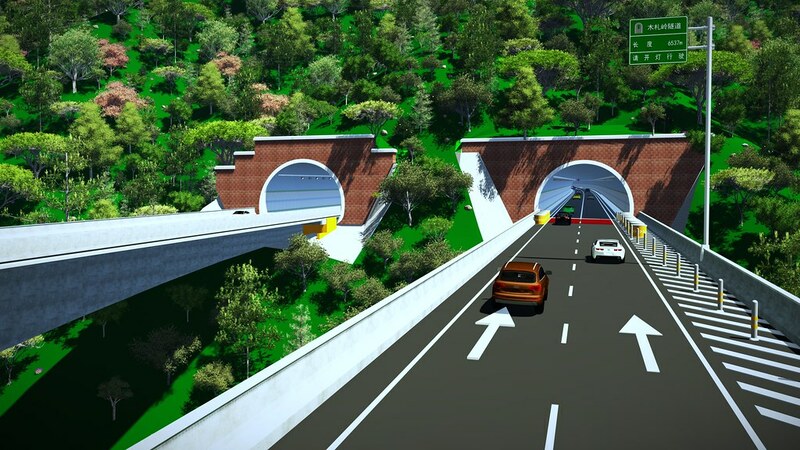 OpenRoads and MicroStation were used to streamline section drawings of tunnels, set up stations for different tunnel sections, and automatically generate tunnel models. The team developed plug-ins for automatic coding of components, increasing coding efficiency by 90 percent compared to traditional methods. LumenRT was used to produce 3D animation and videos for visualization deliverables. The model was also used to integrate PDF documents and design drawings; and iModels were imported into Navigator to communicate information to construction sites. The team also addressed how to combine a GIS-based, BIM project management platform with construction management and meet the owner’s requirements for BIM model accuracy, model separation, and member information coding. Using these innovative applications, the project team reduced design errors and changes, provided design feedback, and improved quality optimization of the drawings by 97 percent. In addition, BIM methodologies helped to improve efficiencies in the lifecycle of the project and provide reference for future projects. Reducing the usual design and construction errors resulted in lower construction costs and increased economic efficiency.